As you know August 16 is Bratwurst Day. 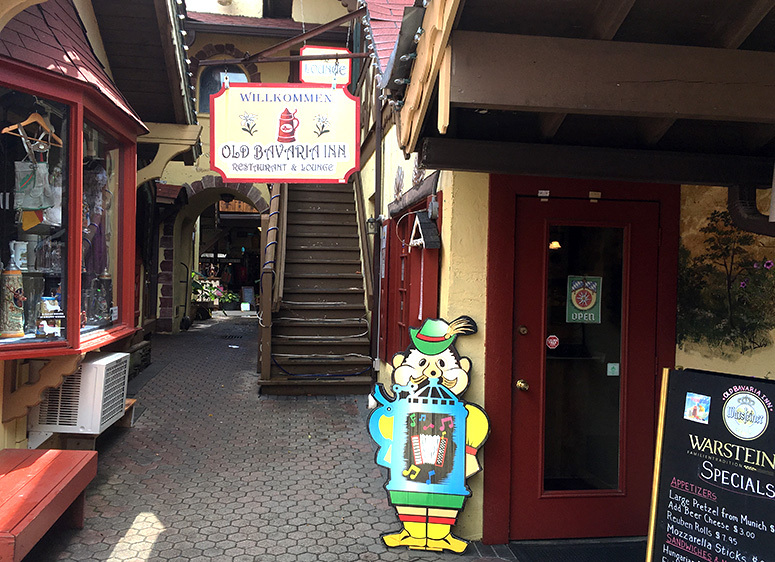 Tucked away in a quaint alleyway off Main Street in Helen, GA is the Old Bavaria Inn. This is where I celebrated this year’s sausage holiday. They have large menu with some great selections but I was focused on the Day. I got the bratwurst sandwich with grilled onions. This succulent sausage was scrumptious. With a large selection of beers and a full bar and great service, this is now my favorite spot for German food in Helen. 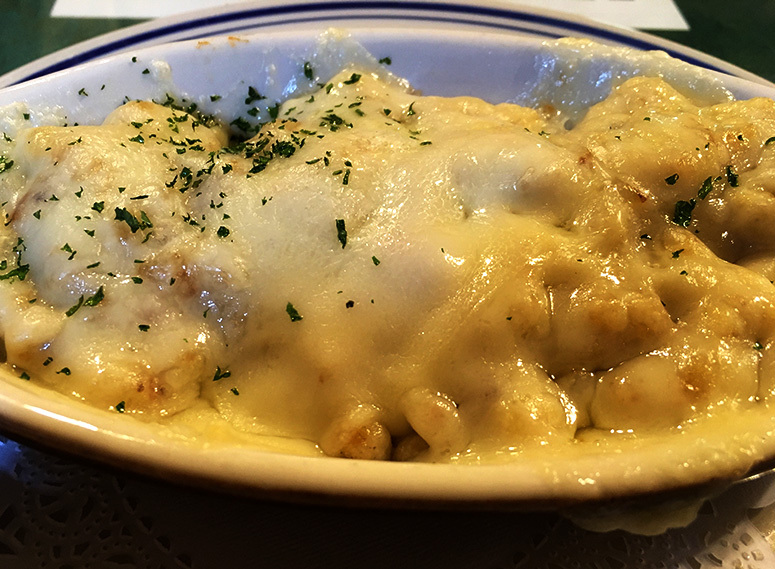 And to my delight they had Käsespätzle, spätzle with grilled onion and melted Swiss cheese on top. Every German restaurant in Helen, GA (and there are a lot of them) has spätzle but not prepared this way. Here’s the video I made a couple of years ago to commemorate Bratwurst Day. In the video I mention that there are 10 places to get bratwurst in Helen, I was wrong. Counting Old Bavaria Inn, open for lunch and dinner, it now 11!